In August, the Business Ready programme launched a new networking group to help ambitious businesses in Coventry and Warwickshire develop their potential. A second GrowthPlus Network meeting was recently held at the University of Warwick Science Park to encourage firms to promote themselves in order to attract skills. Small and medium-sized businesses across Coventry and Warwickshire have been urged to promote themselves as great places to work in order to plug their skills gaps. There are forecast to be 250,000 new job openings in the region before 2030, according to Warwickshire County Council, and smaller firms face the biggest challenge in finding the skills they need. 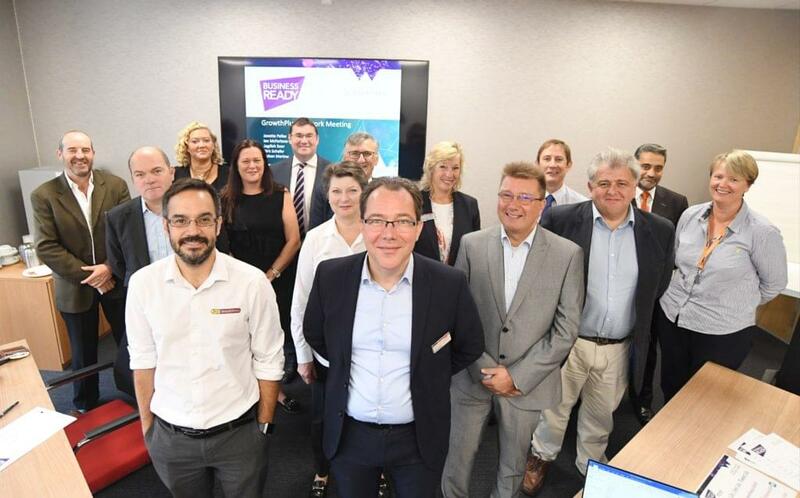 A group of smaller, potentially high-growth companies met at Business Ready’s second Business Growth Network meeting at the University of Warwick Science Park’s Venture Centre to discuss the issue. The network has been established to help companies to hear from experts on a range of business topics but also pick up hints and tips from their peers. Before hearing from the speakers, businesses highlighted some of the issues facing them from the loss of EU employees through to bigger companies mopping up the most skilled people. The event heard from Janette Pallas, of the University of Warwick Science Park; Peter Butlin, deputy leader of Warwickshire County Council and CWLEP board member; Sarah Moss, apprenticeship manager at Absolute Works; Stephen Ward, head of external affairs for student careers at the University of Warwick; and Fay Winterburn, business skills adviser at Warwickshire County Council. Businesses then discussed a range of potential solutions – from apprenticeships and internships through to upskilling current staff to fill more senior roles. Janette said smaller companies should also be bold in selling their business as a place of work. She said: “The reason we launched the Business Growth Network was to offer insight to some of the high growth companies we have worked with through our Business Ready programme. “We are tailoring the events to the issues that they have told us they are facing and skills was very high on their list. “There’s not one solution to the problem but, as we heard from the meeting, there is support out there and great people, if you look in the right places. “What has emerged, however, is that small businesses need to be able to show why they are a great place to work to attract people. “They can’t compete with big, international companies in certain areas but they can show potential recruits the breadth of opportunity they will receive in a smaller company. The group discussed attractions including: interesting projects, flexible hours, further training and development, flexible hours and even the provision of exercise classes to aid recruitment. “It doesn’t always come down to pay, it comes down to being valued and being part of a company that shows a commitment to your development.